Ruah: Psalm One Hundred Thirty-Nine invites the individual into a deeper reading of this famous psalm. This book is small in size - 6"x6" - and is the first of the Ruah series. ​May this book give you the opportunity to be still, to meditate, and to contemplate. May this book open your heart to new ways of understanding God’s deep and unabiding love for you. May this book encourage you to breathe in the Spirit. God’s gift of ruah is yours. Each book of the Ruah series arrives with a small line of uniquely designed beautiful products designed to further enhance your experience of the prayer. This is a reproduction of an original alcohol ink painting by Mary Williams with the words, "You are seen. You are known. You are loved. 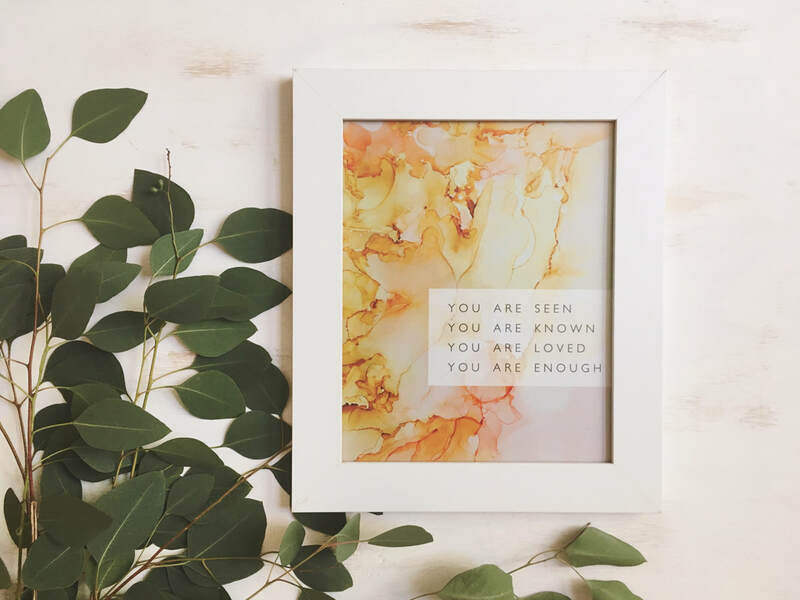 You are enough." placed on top of the painting. Print comes shipped in a sturdy mailing tube and is ready for displaying in your frame of choice. 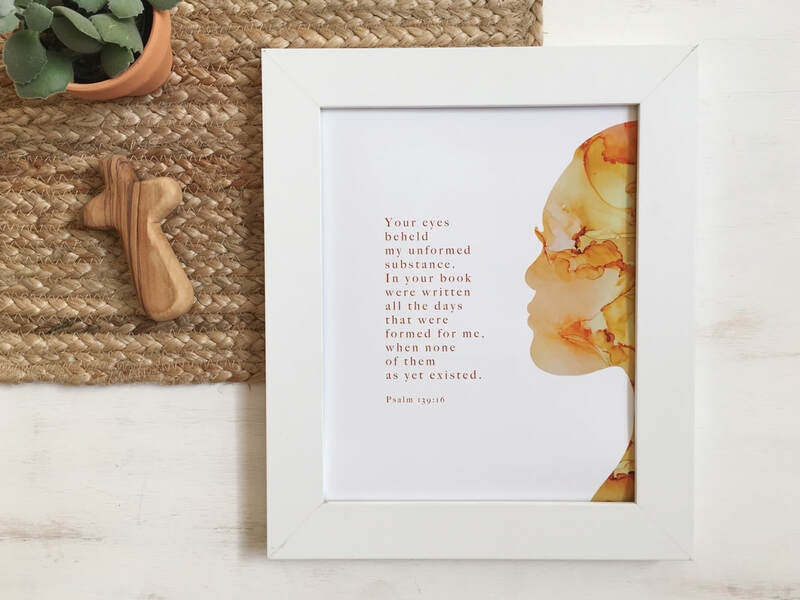 This is an original design by Mary Williams featuring the words from Psalm 139:16: Your eyes beheld my unformed substance. In your book were written all the days that were formed for me, when none of them as yet existed. 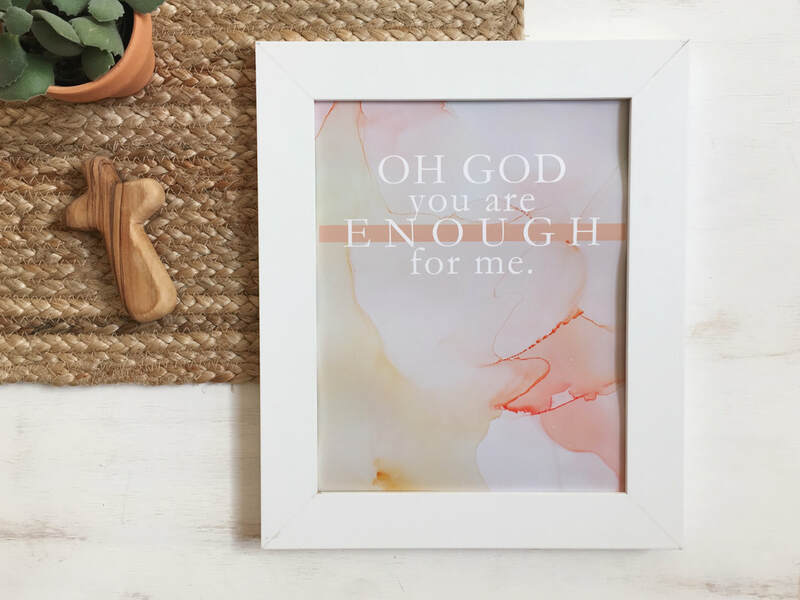 This is an original design by Mary Williams featuring the words: Oh God you are enough for me. 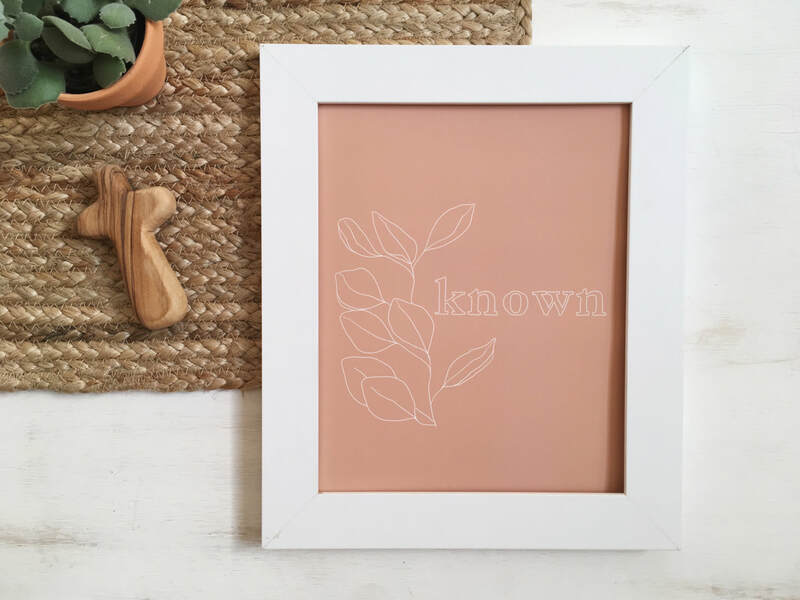 This is an original design by Mary Williams featuring the word known. 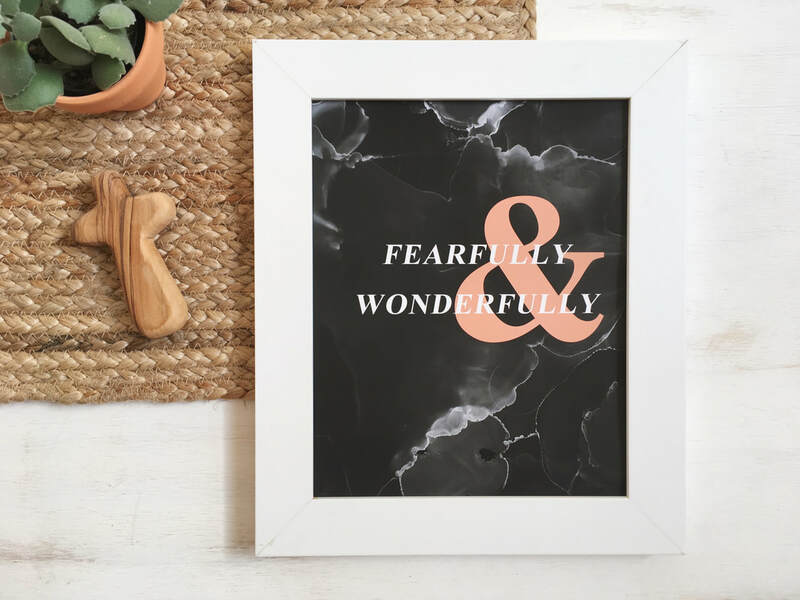 This is an original design by Mary Williams featuring the words from Psalm 139, fearfully and wonderfully. 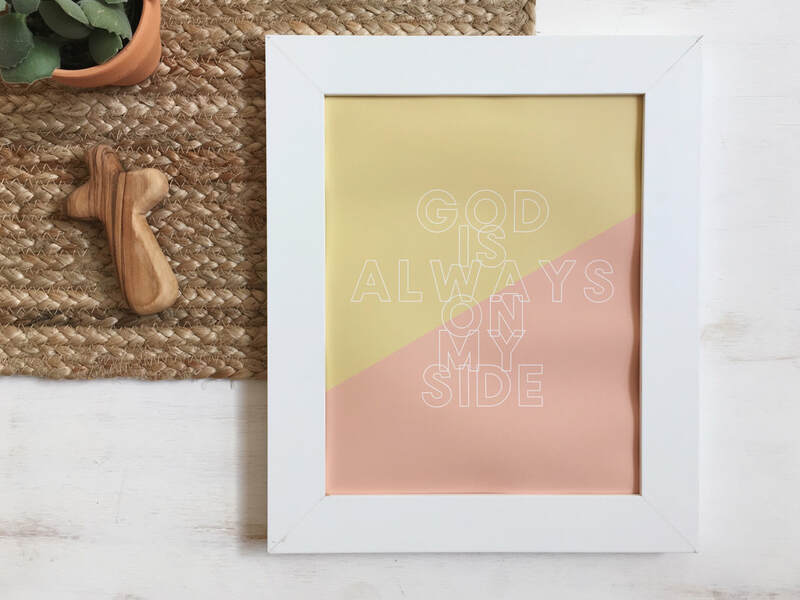 This is an original design by Mary Williams featuring the meaningful words from MJ Kosocovski, God is always on my side.